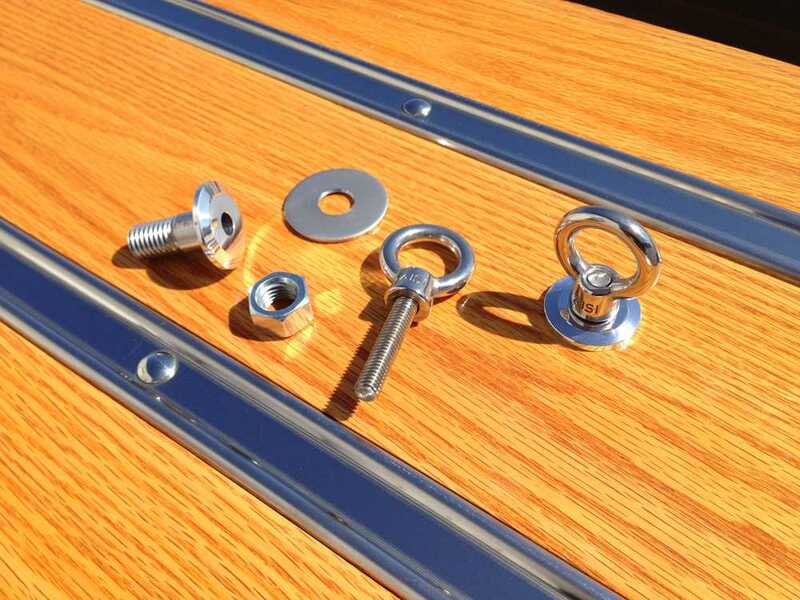 The ideal combination of cool and functionality, these polished aluminum sockets can be installed in the bed floor at points of your choosing, and the stainless steel eyebolt threads into the aluminum socket offering a sturdy connection for tie-down straps. The eyebolt is easily removed so the floor is smooth when the eyebolt isn't needed. This system is perfect for preventing light loads from moving around in the bed. These tie-downs fit all truck beds with a wood floor, and stainless steel hardware for attachment to the wood floor is included. To find this parts in our ONLINE CATALOG, type in your truck year, make and model, look on the left frame under Parts Available and click on the category of "Bed Wood Accessories."